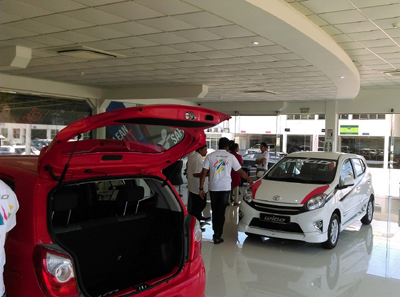 The sole authorised distributor for Toyota vehicles in Sri Lanka opened doors to its latest showroom for the affordable, comfortable and safe 1000cc ‘Wigo,’ which was launched recently. The dedicated showroom situated within Toyota Plaza in Wattala embodies the fun and excitement that is synonymous with the Wigo. Launched targeting young executives and families looking for an entry-level vehicle, the Wigo is the ideal companion for the new age driver. The brand-new Wigo comes with an exclusive three-year 100,000 km manufacturer warranty, three free services (inclusive of material) and free registration, adding further benefits for customers enthusiastic about owning their first vehicle.